TechAward World of Electronics – vote for PCBA Visualizer ! Eurocircuits creates fantastic “smart tools” free to use by you our customer. Show your appreciation for our investment and VOTE for PCBA Visualizer in the TechAward competition of the World of Electronics exhibition. Do it now since VOTING is only possible till September 1st. Do you wish to know more about PCBA Visualizer and why we believe that this is a real innovation? View the movie below and read the information on this page on the WoTS website. Eurocircuits TV made a short movie on how PCBA Visualizer contributes to manufacturing your assembled PCB, prototype or small series, “right first time“. WoTS Proximo gadget – reserveer snel uw exemplaar! WoTS-gadget PROXIMO – reserveer snel uw exemplaar ! Dit jaar tijdens de World of Electronics, een van de 5 werelden van de beurs World of Technology & Science, kan u deelnemen aan het PROXIMO project. PROXIMO is een nabijheidssensor gelinked aan een smart phone. Hierdoor ontstaat een applicatie die apparaten in de nabijheid kan waarnemen waardoor de PROXIMO bezitter tijdens de beurs verschillende toepassingen van het gadget kan gebruiken. Het hart van het gadget is de Nordic 5.0 Bluetooth Low Energy chip. Eurocircuits’ klant IDEETRON is de ontwikkelaar van het gadget en studenten van de Hogeschool Arnhem Nijmegen programmeerden de app voor de smart phone. Eurocircuits TV heeft een korte introductie film over het Proximo project gemaakt. Eurocircuits TV maakte ook reportages over elke stap in het creatieproces van de PROXIMO. VLOGs klik hier. https://www.eurocircuits.com/wp-content/uploads/PROXIMO-Teaser.png 471 900 Dirk Stans http://www.eurocircuits.com/wp-content/uploads/2016/07/eurocircuits.png Dirk Stans2018-08-24 14:00:212018-08-29 21:47:40WoTS Proximo gadget - reserveer snel uw exemplaar! WoTS Proximo gadget – Be quick to reserve one! This year at the World of Electronics, one of the 5 worlds present at World of Technology & Science, you can participate in the PROXIMO project. 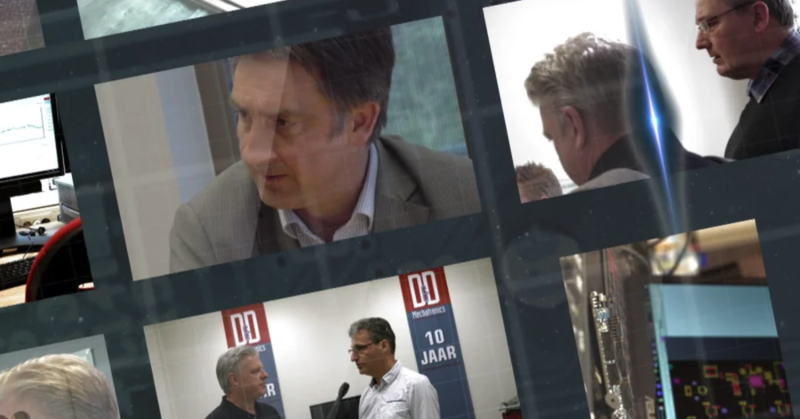 Eurocircuits TV has made a short introduction movie for the Proximo project (Dutch spoken). Eurocircuits TV also made movies of every step of the creation process of the PROXIMO. VLOGs click here. https://www.eurocircuits.com/wp-content/uploads/PROXIMO-Teaser.png 471 900 Dirk Stans http://www.eurocircuits.com/wp-content/uploads/2016/07/eurocircuits.png Dirk Stans2018-08-24 13:13:162018-08-24 14:01:35WoTS Proximo gadget - Be quick to reserve one! 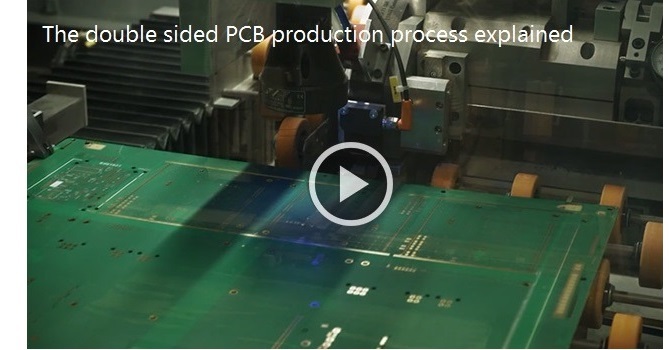 Double Sided PCB production sounds simple enough, but have you ever wondered what the actual production flow involves. Using our Eurocircuits Insight Technology platform we have made a short informative video that explains the process flow. There are more than 20 process steps required to make a Double-Sided PCB. It all starts with the selection of the material. This consists of a base material that is covered with copper foil on one or both sides. The type of base material selected, depends on the function and design of the PCB, it may be an FR4 or Ceramic or Aluminium based material. In addition the selection depends on the required Isolation, Cu Thickness and the Tg value etc. Once the base material is selected then the production process begins, why not take a few minutes to watch our informative video present by Gruber András, our Production Coordinator. Students of Université Catholique de Louvain competing in the EUROBOT competition. https://www.eurocircuits.com/wp-content/uploads/UCL1.png 256 458 Dirk Stans http://www.eurocircuits.com/wp-content/uploads/2016/07/eurocircuits.png Dirk Stans2018-08-03 16:58:072018-08-03 17:01:42Students of Université Catholique de Louvain competing in the EUROBOT competition.